Celebrate 40 years of the classic story of one young woman's passion to achieve her dreams with Mahogany: The Couture Edition, which is currently available on DVD from Paramount Home Media Distribution. 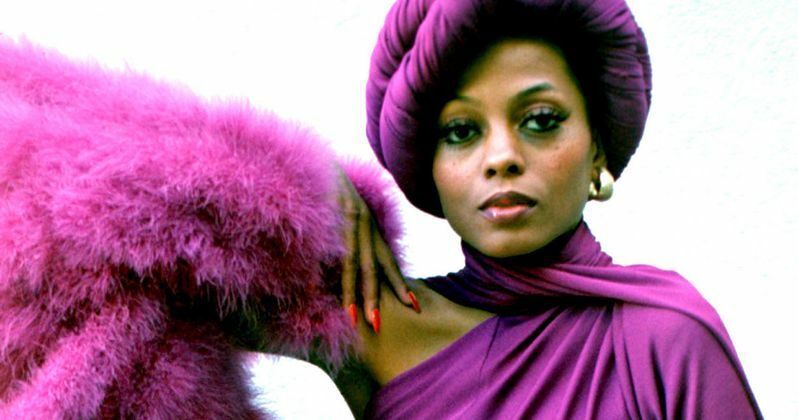 Academy Award nominee and legendary musical artist Diana Ross stars as a secretary who becomes a high fashion model and world famous designer in this captivating and dramatic tale directed by Motown legend Berry Gordy. To celebrate the release of this Couture Edition, we have a contest lined up where fans can take home the DVD. It makes the perfect gift for this Mother's Day! This dramatic love story filmed in Chicago and Rome also stars Billy Dee Williams as the Chicago politician who falls in love with her. Anthony Perkins is at his best portraying a malevolent fashion photographer who masterminds, then tries to sabotage Mahogany's career. The film received an Oscar nomination for Best Music, Original Song for "Theme from Mahogany (Do You Know Where You're Going To? )," which also became a #1 hit. Mahogany: The Couture Edition DVD sports eye-catching, retro packaging and celebrates the film's indelible influence on fashion with collectible fashion prints of design sketches and many of the iconic and groundbreaking looks worn by Diana Ross in the film (available for a limited time only). The DVD also includes a photo gallery of images of the fashions showcased in the film. These prizes will surely go fast, so be sture to enter our giveaway to win Mahogany: The Couture Edition today.